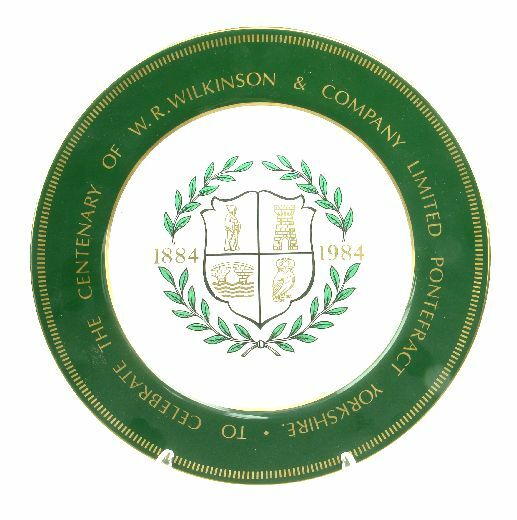 Commemorative plate with W. R. Wilkinson & Co Ltd liquorice emblem which includes Pontefract Castle symbolised by the tower on the top right quarter [the broken bridge 'Ponte-fract' is on the bottom left quarter] 1984. The business was established in 1884 and the original factory was based in a malt kiln in Southgate, Pontefract. 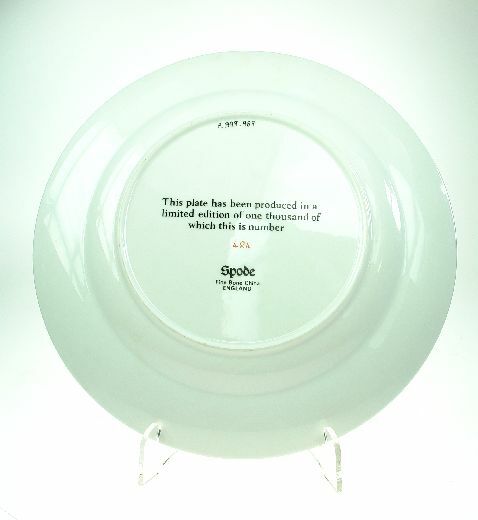 The company was bought out in 1894 and became a limited company in 1924. A year later a former brush factory in Monkhill was rebuilt as a 'garden factory’. In 1961 the company merged with the Sheffield based Bassett Group, their biggest rivals.